The City of Tartu is proud of its university and its status as a university town. The university is an even stronger memory site than the city and has special meaning for Baltic Germans in addition to Estonians, but also for Ukrainians, Armenians, Poles, Latvians, Jews and other minorities of the former Russian Empire. The commemoration of the anniversaries of the University of Tartu is a very graphic example of the use of memory and the susceptibility of remembering to the aims of the current political system and of various interest groups. Here history has become an “active shaper of the present” according to Juri Lotman’s definition. This article examines the commemoration of jubilees of the University of Tartu through two hundred years. Nowadays Estonians consider the entire history of the University of Tartu to be their own starting from its founding by King Gustav II Adolf of Sweden in 1632. The Estonian language was not unknown in the university in the Swedish era – knowledge of Estonian was necessary for pastors and some examples of occasional poetry written in Estonian have survived from that time. The university was reopened in 1802 when it was already part of the Russian Empire and became a primarily Baltic German university. It shaped the identity of the Baltic provinces in Russia and contributed to their growing together culturally in the eyes of both the German-speaking upper class and the Estonian- and Latvian-speaking lower class. The Estonian and Latvian languages were both represented at the university by one lecturer. There were also Estonians at the university in the first decades already but at that time, education generally meant assimilation into German culture. The 50th jubilee of the Imperial University of Tartu was commemorated in 1852 as a celebration of a Baltic German university. The 100th anniversary of the imperial university in 1902 was commemorated at a university where the language of instruction had been switched to Russian. The guests of honour were well-known Russian scientists, church representatives and state officials. 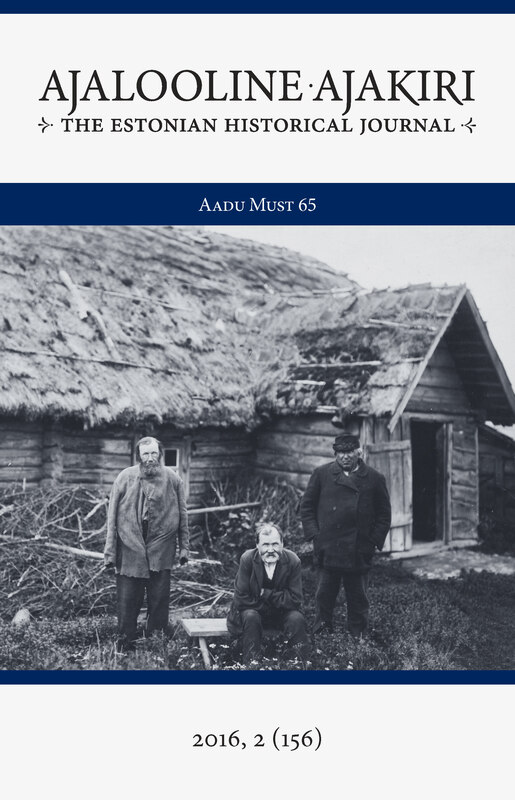 For the first time, a lengthy overview of the history of the University of Tartu was published in Estonian in the album of the Society of Estonian Students under the meaningful title (University of the Estonian Homeland). Unlike the official concept of the 100 year old university, this overview stressed the university’s connection to the university of the era of Swedish rule. When the Russian Empire collapsed and the Estonian nation became independent, the University of Tartu was opened on 1 December 1919 as an institution where the language of instruction was Estonian. The wish of the new nation to distance itself from both the Russian and German cultural areas and to be connected to something respectably old was expressed in the spectacular festivities held in 1932 commemorating the 300th anniversary of the University of Tartu. After the Second World War, Estonians who ended up abroad held the anniversaries of the Estonian era University of Tartu in esteem and maintained the traditions of the university student organisations that were banned in the Soviet state. The 150th anniversary of the founding of the university was commemorated in the Estonian SSR in 1952 – at the height of Stalinism. The Swedish era university was cast aside and the monuments to the king and to nationalist figures were removed, replaced by the favourites of the Soviet regime. Connections to Russia were emphasised in every possible way. Lithuanians celebrated the 400th anniversary of their University of Vilnius in 1979, going back to the educational institution established in the 16th century by the Jesuits. This encouraged Estonians but the interwar tradition of playing up the Swedish era was so strong that the educational pursuits of the Jesuits in Tartu (1585–1625, with intervals) were nevertheless not tied into the institute of higher education. So it was that the 350th anniversary of the University of Tartu was celebrated on a grand scale in 1982. The protest movement among university students played an important role in the restoration of Estonia’s independence. Immediately thereafter, the commemoration of the anniversaries of the Estonian era university that had in the meantime been banned began once again. The 200th anniversary of the opening of the Imperial University of Tartu (2002) passed with mixed feelings. The imperial university as a university of the Russian state no longer fit in well and it was feared that the connection to the Swedish era would suffer. Yet since this period had nevertheless brought Tartu the greatest portion of its scientific fame, a series of jubilee collected works were published by various faculties. On the other hand, nobody had any qualms about commemorating the 375th anniversary of the Swedish era university five years later (2007) on a grand scale with new monuments, memorial plaques, exhibitions, a public celebration and a visit from the King of Sweden.